British dive tour operator Oonasdivers has added Fiji to its list of must-do diving holidays. The team have hand picked four resorts, each boasting of fantastic scenery, above and below water. Fiji is located in the heart of the South Pacific, and is actually made up of 333 tropical islands. They’re famous for their soft coral diving, white sand beaches and a pristine natural environment – not an accident, because Fiji is a world leader in eco-tourism. Viti Levu is the largest island in Fiji. Rakiraki (Voli Voli Beach Resort) towards the north of the island is fast becoming recognised for its world-class reefs with beautiful pinnacles, stunning drop offs and an abundance of marine life, with many new dive sites still being discovered. The Great Astrolable Barrier reef is the worlds fourth longest and runs along the South side of Kadavu Island (Matava Resort). Consisting of 75 miles of pristine hard and soft corals, it creates extensive sheltered coral lagoons where you can drift over coral gardens filled with countless colourful reef fish, starfish and critters. 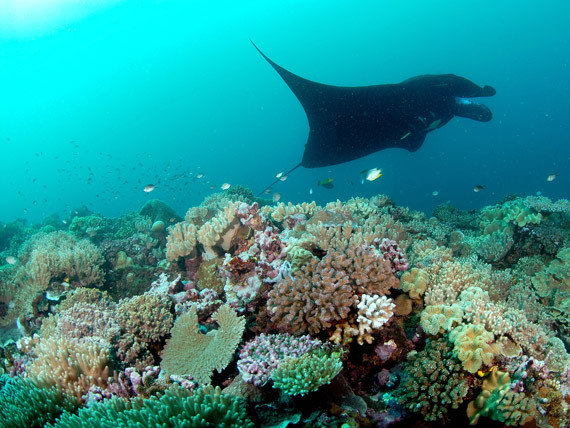 Manta Reef is one of best places to dive and see oceanic and resident manta rays. Primarily a feeding area, some mantas do hover over the reef for a clean within a few feet of divers. Taveuni makes a lasting impression underwater too. 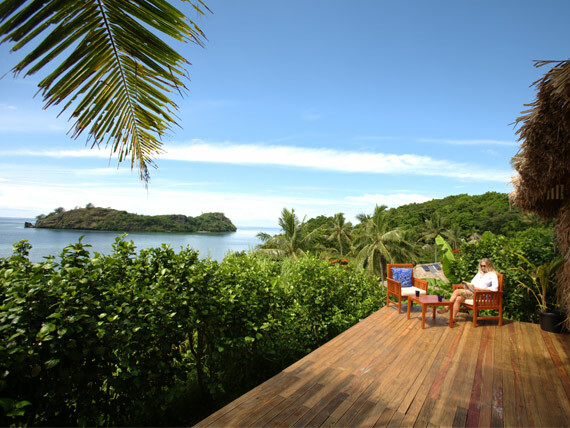 The well chosen Paradise Taveuni Resort provides easy access to the world famous Somosomo Strait, and wonderfully diverse dive sites such as Eel Reef, Rainbow Reef and the Great White Wall, an amazing drop-off covered in white soft coral. Migrating humpback whales may be spotted passing the island in during July. International flights to Fiji operate daily from major UK airports. Routing can be discussed with one of the team at Oonasdivers. For more information on diving in Fiji, visit www.oonasdivers.com or email info@oonasdivers.com.